That was 20 years ago this weekend. I’ve always remembered that it was the Martin Luther King, Jr., Day holiday weekend. I was 11 years old and in the fifth grade. We all knew when we left school on Friday that we were in for a holiday (MLK Monday is a holiday most places), but little did we know that a blizzard was about to turn our 3-day weekend into a 2-week vacation! 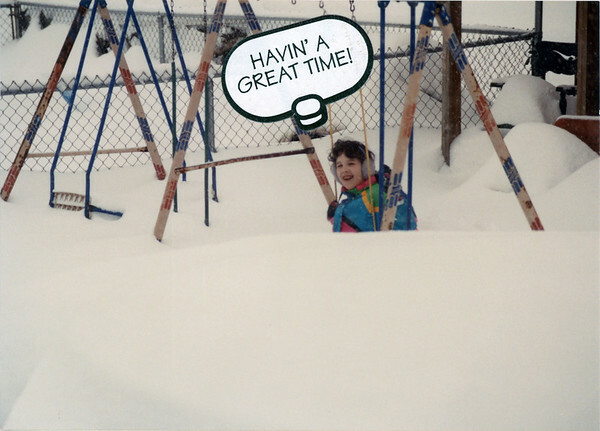 That’s me sitting on a swing in our back yard during the Great Snow of ’94. As an archivist, I cringe at the thought/speech bubble sticker, but I also know that somewhere at my parents’ house, the negative for this picture is safe (and unmarred) in a cabinet, waiting for me to scan it someday. 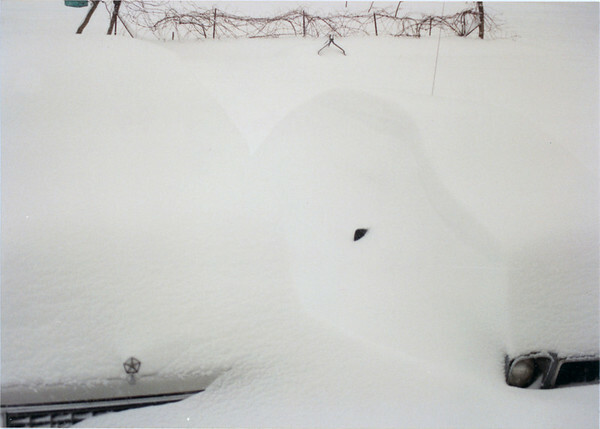 A portion of our back yard (that’s a trampoline, the net of which was at least 2 feet off the ground), during the Great Snow of ’94. As I did not remember to research this at the local library when I was home for Christmas (which is really too bad, since I was there over a week and had plenty of time to do so!) And I really wanted to include some true historical details about the storm, rather than just my own recollections. A greater snowfall arrived on Monday 17 January. This storm left six to ten inches across nearly all of Ohio but, again, the deepest snow was along the Ohio River. Portsmouth received twenty inches of snow, and thirty inches was reported at Lucasville. Twenty-two to twenty-four inches fell in Adams County, with fifteen inches reported in Piketon and Jackson. Snowfall intensities of five inches an hour were measured at Chillicothe. Highways were closed Monday by deep drifts and abandoned cars in extreme southern Ohio. Nine south-central counties declared snow emergencies Monday morning, banning all but emergency travel and essentially shutting down the region. Temperatuers were cold, so the snow did [p. 77] not stick to trees and there was no widespread disruption of phone and electric service. Businesses assisted residents who could not get out in the deep snow. The pharmacy at Kroger’s in Portsmouth delivered medicine to customers who were unable to travel, according to the Portsmouth Daily Times. Southern Ohio Medical Center [the hospital in Portsmouth] employees were picked up and delivered to the hospital in four-wheel-drive trucks and rescue squads. Snowfall during January totaled 45.5 inches at Newport and 33.3 inches at Marietta. 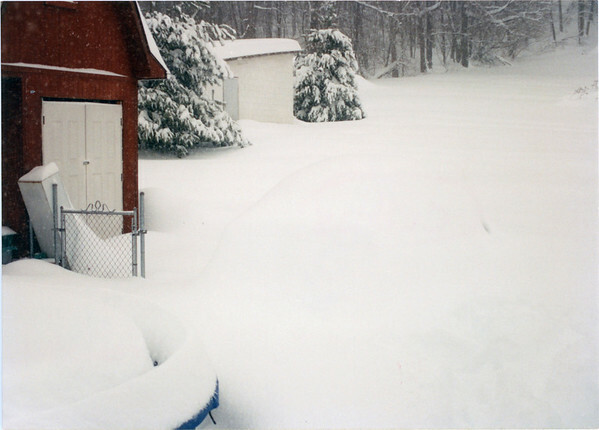 These were among the heaviest snowfalls ever recorded in Ohio outside the Lake Erie snowbelt. At the Parkersburg Airport, five miles south of Marietta, snowfall totaled 40 inches during January 1994. This was a record for any month, exceeding the old record of 35 inches in November 1950. The January snowfall was more than had fallen in the entire past two winters combined in southeastern Ohio. We actually lived in Minford, Ohio, a smaller rural town outside of Portsmouth; it was closer to Lucasville (7 miles away, mentioned in the excerpt as having 30 inches of snow!) 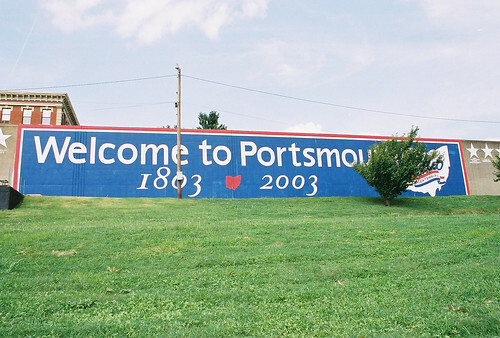 than Portsmouth (14 miles away). 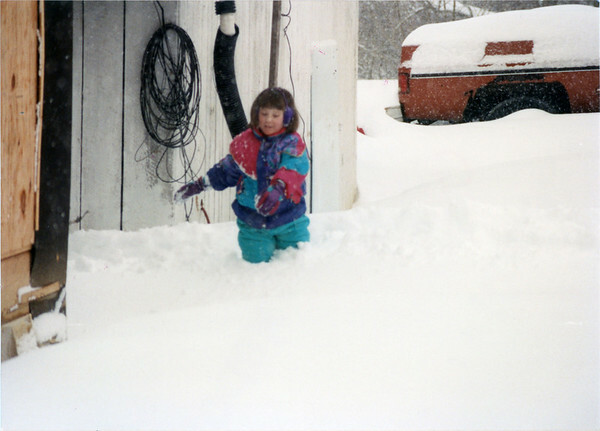 I remember that there seemed to be about 2 feet of snow (which is substantiated by the above excerpt); it was over my knees (as illustrated in the included photos!). I remember that simply walking through the snow (which was no easy feat) left these trailing paths like you were in some sort of a maze, because the snow was so high it almost felt like maze walls (maybe I made this association because I always loved doing mazes in those activity books when I was a kid). As you can see, the snow was over my knees. I was 11. We had about 2 feet of snow in Minford, Ohio. 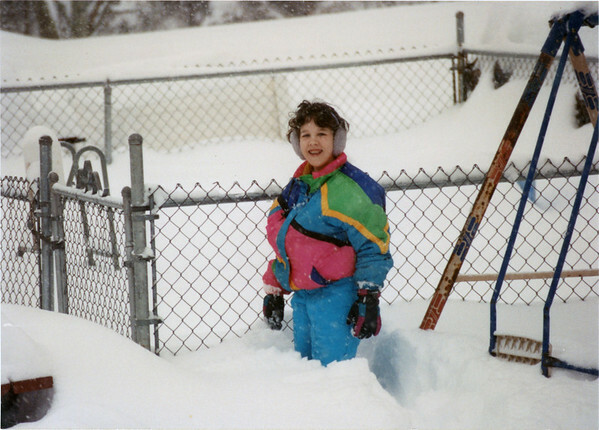 My younger sister, then 9 years old, wading through the snow. When I asked Mom what she remembered about the snowstorms, those paths were the thing that stuck out in her mind, because my youngest sister was only 4 at the time, and following us in the paths we made was the only way she could get through the snow at all! 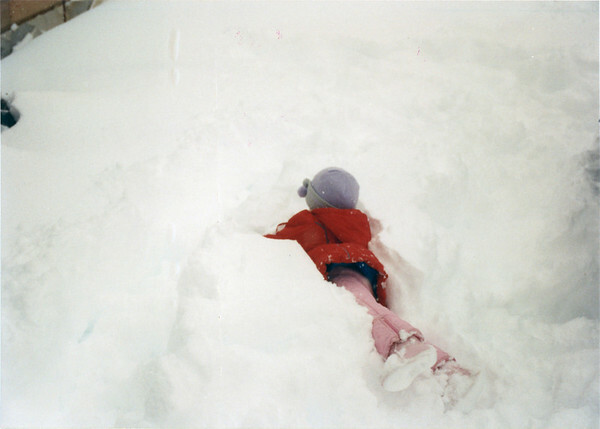 My youngest sister, age 4, diving into a snow drift. Another snippet that Mom remembered was how concerned we were about our pet rabbit, a Californian bunny named Pretty (seriously) who lived in a pen (which I think had a wooden house part also) in the backyard. Dad was worried, so he went (er, waded) out to the rabbit house, expecting to find a dead rabbit, but when he finally unburied enough of the thing to see inside, she was just fine in there; the deep snow had created a sort of igloo! When I read in that excerpt (above) that there were NOT widespread power outages from heavy snow and ice causing downed trees to break the lines, I realized that this was not something I had ever thought about before with relation to that particular snowstorm. I suppose if we HAD experienced a power outage, I would have remembered, as school was out for….two weeks, I think…and that would have been a long damn time to be without electricity when the temperatures were so cold. We had a gas furnace, but if the electric blower isn’t working, it’s still not much use; my parents do have 1 fireplace in the part of the house that we were living in at the time—it was still a work in progress—but I don’t recall if the fireplace itself was installed and working yet! A power outage certainly would have been a disaster in that storm! Well it looks like there was plenty of snow on the trees in this picture of our back field, and yes, I’m fairly certain it was from the same storm. But yay for no downed power lines! Dad plowing the driveway with his tractor—my favorite photo of this event! Believe it or not, there is a Dodge Caravan (left) and a Toyota Corolla (right) under all that snow. Eventually, once the driveway—and the car—was cleared off, I remember getting into my Dad’s old Toyota Corolla and puttering down the highway to the local grocery store (about 1 mile away), only to (if I recall correctly) find that it was still closed due to the snow—I guess the employees couldn’t get there. So much for bread and milk! I asked my husband what he remembered about the snowstorm, as he was also an 11-year-old in southern Ohio at the time—he actually lived in Lucasville. He seems to recall that he was at the local Boy Scout camp, Camp Oyo, that weekend for a winter camp-out (now known as Okpik, though he says they weren’t calling them that at the time). They were scheduled to go home on Sunday, and they actually did so, although they briefly considered staying another day…which would have had them stranded, as the majority of the snow fell on Monday. Thank goodness they went home when they did! He said he remembers sticking a yard stick into the snow at their house in Lucasville and measuring almost 3 feet of snow (which again meshes with what the book said). National Weather Service at Louisville (KY): Snow maps, etc. (2010). National Weather Service at Louisville (KY): Top Ten Weather Events in Southern Indiana and Central Kentucky (2012). WHAS (Louisville, KY): Twenty Year Anniversary of 1994 Snowstorm (2014, 3-minute news video). 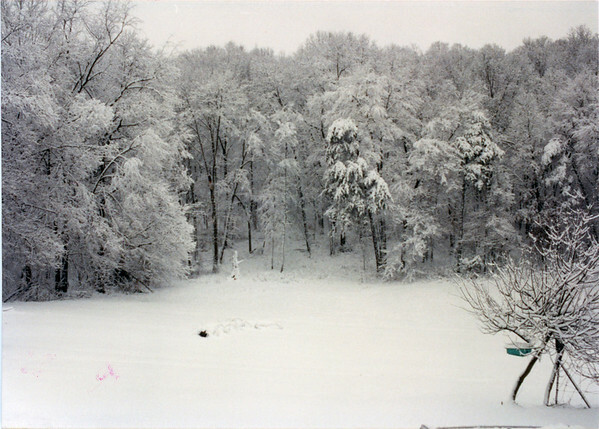 Ohio Weather History (blog): “January 18-19, 1994- Ohio’s Greatest Arctic Outbreak” (undated, somehow). 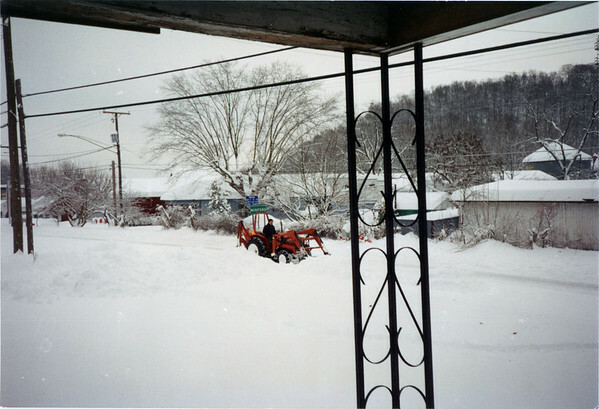 Lima (OH) News: “Readers Share 1994 Deep Freeze Memories” (2014). Horton Howard was born January 22, 1770, in either Carteret or Craven County, North Carolina, the eldest son of Bartholomew Howard and Ruth Stanton. Horton’s namesake was his father’s step-father, Parmenas Horton. The other children of Bartholomew and Ruth Howard were: Mary Howard (1773-? ), who married Aaron Brown and lived in Logan County, Ohio; Henry Howard (1775-? ); Avis Howard (1777-? ); and John Howard (1779-about 1836), who married Cherry Dew and then Hannah Raley, and had several children, most of whom lived in eastern Ohio. Horton’s parents were members of the Society of Friends (also known as Quakers), but they were also slaveholders. The family owned about 26 slaves, according to the 1790 census for Craven County. Slave-holding was technically contradictory to Quaker beliefs, but freeing one’s slaves was discouraged in North Carolina, with a law actually forbidding it by 1796. As a way of getting around the problem, a Quaker could transfer ownership of his slaves to the Meeting to which he belonged, thus relieving the individual from owning slaves, and the slaves were often freed through colonization in places like Haiti or Liberia. The Northwest Ordinance of 1787 created the Northwest Territory, where slavery was prohibited. This was attractive to southern Quakers, including Horton Howard, who wished to rid themselves of any local ties to slavery. The availability of good, relatively inexpensive land was surely alluring also. In 1799, the Contentnea Quarterly Meeting of eastern North Carolina decided to send a few men to investigate the lands and resources in the Northwest Territory, for a possible settlement by members of their community. Those three men were Horton Howard and his father-in-law Joseph Dew, of the Core Sound Monthly Meeting, and Horton’s brother-in-law Aaron Brown, of the Trent Monthly Meeting. The three traveled first to the Quaker communities of Redstone and Westland in southwestern Pennsylvania (near Fredericktown), using these as a jumping off point to eastern Ohio. …We are now at Winchester in Virginia having crossed the Blue Ridge of Mountains and are between it and the Alligany [sic] Mountain about four Hundred and fifty Miles from Home and One Hundred and thirty six from Redstone. We have been favoured [sic] to get along so far with less Difficulty and fatigue than we expected but we have travailed [sic] slow…and now we all go Comfortably on Horseback being pretty well seasoned thereto. Father seems considerably Heartyer [sic] than when he left home but has nothing at Present to write. When the trio of explorers returned to North Carolina, they reported favorably on what they had seen in the new territory. Core Sound MM sent many families to the northwest, and the response from Trent MM was so overwhelming that all the families removed, with Trent MM actually ceasing to exist afterwards. Although most of these families did not begin the journey north until January 1800, Horton Howard was granted a certificate to Westland MM on September 1, 1799, and was received there on October 26, 1799. The Howards and the other Quaker families remained near Fredericktown, Pennsylvania, through several months of 1800, waiting for the opening of a new federal land office in the Northwest Territory, which would grant deeds for property in Ohio. On May 2, 1800, Congress passed the Harrison Land Act, which authorized four new federal land offices in the Northwest Territory, the first of which opened for business at Steubenville on July 2. Lands could be purchased in tracts of 320 acres each (a half section) for $2.00 per acre. Horton Howard’s family was among the first to leave Fredericktown. On September 16, 1800, he purchased a tract of land in what is now Colerain Township in Belmont County, near what would soon be known as Concord (now Colerain). By the end of the year 1800, approximately 800 Quakers had moved to Ohio. In December 1801, a new Quaker congregation—the Concord Monthly Meeting—opened in Belmont County, Ohio. This was the first Monthly Meeting of Friends in the Northwest Territory, and Horton Howard was among its charter members. Horton was appointed the first men’s clerk of the Concord Monthly Meeting in 1801. He was later the first clerk of the Short Creek Quarterly Meeting in 1807 and the first men’s Ohio Yearly Meeting from 1813-1815. 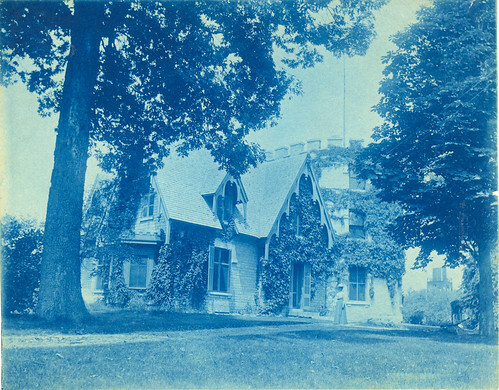 Although Horton was much devoted to his work within the Society of Friends, he also needed a means of supporting his growing family. Horton became employed by the federal land office in Steubenville. He worked as a land agent, helping thousands of people locate and acquire suitable property in eastern Ohio. In April 1815, the Howard family joined the nearby Plainfield Monthly Meeting, which was also located in Belmont County. The family remained in Belmont County for another five years, until the summer of 1820, when the Horton was appointed as a land agent at one of the newly opened federal land offices further west. Probably in connection with his duties as a federal land agent, Horton Howard was apparently involved in surveying and mapmaking, his signature appearing on several early 19th century Ohio and Quaker maps. As a matter of fact, when Horton sent his daughter Sarah to school in Cincinnati in the fall of 1825, he particularly encouraged her to learn “the art of painting or shading maps,” which surely would have been a useful skill to have in the family. The federal land office at Delaware did indeed remove to Tiffin in 1828, but the Howard family did not go with it. 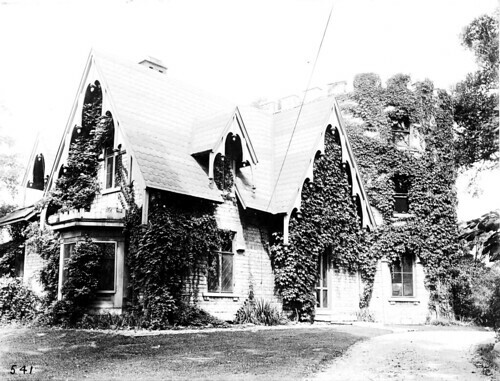 Instead, they moved slightly south to Columbus, Ohio, where Horton and his wife Hannah lived until their deaths. Although Sarah wrote that her father “was not the abolitionist of our day,” records show that Horton Howard was inclined towards abolition. In 1818, he wrote a letter to his friend and fellow Quaker Thomas Rotch, asking Rotch to assist with presenting an anti-slavery statement to Congress. From exposure in early youth, my health became much impaired, and my constitution weakened by sickness; insomuch that from the age of thirteen to twenty-one, I was a constant prey to disease, and all its concomitant ills—its pain and anxiety—its gloomy forebodings, and the repulsive prospect of a slow decay. During this period, I not only applied for medical aid to the best physicians of my native state (North Carolina), but I devoted a portion of my time to the study of medicine, in the hope not only of finding something to mitigate my sufferings, but also of acquiring the knowledge of a useful and honorable avocation for life. Stimulated by these earnest hopes and sentiments, I prosecuted my book studies, aided by the best physicians of my acquaintance, until I had acquired a competent knowledge of the practice of medicine.—But alas! My fondest anticipations were but idle dreams: neither my books, nor my physicians, brought that relief—that grateful solace to my sick-worn frame, which I so ardently desired, and so anxiously sought from their aid! …Moreover, I became acquainted with the appalling fact, that with all the knowledge which I, or the best medical practitioner possessed, and with the use of such remedies as were generally relied upon in the treatment of disease, it would be a matter of uncertainly whether I should cure or kill! With these sentiments indelibly impressed upon my mind, I abandoned the idea of following a practice, which could only be pursued at the hazard of destroying life… My health was finally restored by a peculiar kind of regimen [botanic medicine] which will be particularly described in my medical work. From these considerations, and from these alone, I abandoned the idea, of following the practice of medicine as a profession; although I have practiced very considerably among my immediate neighbors, more especially in sickly seasons; but for which I have never charged, nor have I ever received, any compensation. 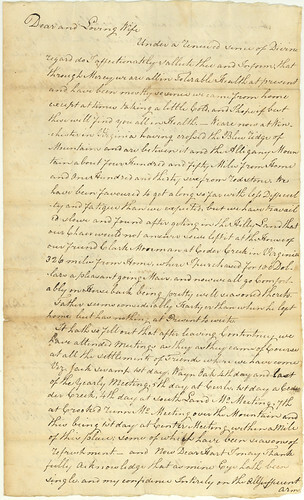 In the summer of 1825, the bilious fever prevailed epidemically, which swept off numbers of my acquaintances, amongst whom I lost a lovely daughter [Hannah]… Other branches of my family, as well as several of my neighbors, suffered by the same epidemic, all of whom recovered by the assistance of such medical aid as I was then capable of affording them; which indeed I had reason to believe was at least equal to any that could have been derived from any other source. However, in the winter after the bilious fever epidemic of 1825, Horton changed his mind about botanic medicine after observing its use in healing an extremely sick neighbor. I had seen the effects of the new medicines in but one case; but that was one of virulent character, and it yielded to the means employed, as if they acted by a charm: I came to the conclusion that it was my duty as a man, and as a Christian, to forego all my prejudices, and avail myself of the knowledge of these botanic medicines, for the benefit of my own family. Sickness in my own family, as well as amongst my neighbors, and friends in distant parts of the country, soon afforded opportunities which confirmed my highest opinions of the new practice; and I commenced, with zeal and energy, proclaiming my convictions to the world. I pursued this course because I believed that mankind would be benefitted by the new system, and that it was my duty to encourage its promulgation. Horton soon became an agent for Thomson directly. However, Horton eventually found Dr. Thomson’s original system to be imperfect, broke with Thomson, and improved upon the botanic system. Knowing that Dr. Thomson would resent the publication of a “revised” version of his original book, Horton published his own book on the subject—An Improved System of Botanic Medicine—in 1832. After the publication of the first volume of the work, Thomson filed suit against Horton Howard, but Horton apparently won the case, because the second volume of An Improved System of Botanic Medicine was published the same year. Horton published a third and final volume, specifically focusing on women’s medicine—A Treatise on the Complaints Peculiar to Females: Embracing a System of Midwifery; the Whole in Conformity with the Improved System of Botanic Medicine—which was also published in 1832. Unfortunately, Horton Howard’s botanic remedies were no match for the cholera epidemic that struck Columbus in the summer of 1833. Horton Howard’s immediate family lost six members during that epidemic, including Horton himself, his wife Hannah, a daughter Ann, a son-in-law, and two grandchildren. Horton Howard died on August 14, 1833, of cholera, at his home in Columbus, Ohio; he was 63 years old. He was buried the following morning in Columbus. His wife Hannah (Hastings) Howard died August 20, 1833, of cholera, at home; she was 59 years old. She was presumably buried near her husband in Columbus. The remains of both Horton and Hannah Howard were eventually moved to Woodland Cemetery in Dayton in 1851. Horton Howard was married three times and had 11 children. Horton’s first wife was Anna Mace. They were married August 7, 1791, at the Clubfoot Creek Meeting House, which was near the Neuse River in Craven County, North Carolina. Anna was born about 1769 and died of tuberculosis on March 12, 1797, in North Carolina; she was 27 years old. Henry Howard was born June 13, 1792, and died August 30, 1840. Ruth Howard was born December 15, 1794, and died of croup on April 15, 1796. Horton’s second wife was Mary Dew, daughter of Joseph and Vylee Dew. They were married February 25, 1798, at the Clubfoot Creek Meeting House in Craven County, North Carolina. Mary was born February 24, 1771, and died of “inward decay” on September 5, 1804, probably in Belmont County, Ohio; she was 33 years old. Joseph Howard was born December 20, 1798, in North Carolina, and died about April 1856, probably in Ohio. He married Pharaby J. Patterson in 1821. Rachel Howard was born May 15, 1802, in Belmont County, Ohio, and died of bilious fever in August 1829. She was unmarried. Horton J. Howard was born March 23, 1804, in Belmont County, Ohio, and died July 21, 1883, in Mount Pleasant, Iowa. He was a newspaperman and printer at St. Clairsville. He married Mary M. Bates in 1825, then later Eliza W.
Horton’s third wife was Hannah Hastings, daughter of John and Sarah Hastings. Hannah was born February 24, 1774, in Wilmington, Delaware. Horton and Hannah were married December 5, 1806, at a public meeting of Quakers in Wilmington, Delaware. Sarah Hastings Howard was born December 27, 1807, and died December 11, 1887. She married Samuel Forrer in 1826. Mary Howard was born March 6, 1809, and died April 24, 1891. She married Harvey Little in 1827, then Dr. John Gladstone Affleck in 1837. Ann Howard was born June 11, 1811, and died of cholera on August 9, 1833, in Columbus, Ohio. In 1851, her remains were removed to Woodland Cemetery in Dayton, Ohio. Hannah Howard was born March 7, 1812, and died of bilious fever on August 6, 1825, in Columbus, Ohio. In 1851, her remains were removed to Woodland Cemetery in Dayton, Ohio. John H. Howard was born October 5, 1813, and died May 8, 1878, in Dayton, Ohio. He married Ann E. Loury in 1841. Jane Howard was born February 2, 1816, and died August 6, 1819, probably in Belmont County, Ohio. In 1851, her remains were removed to Woodland Cemetery in Dayton, Ohio. Howard Genealogical Information, Forrer-Peirce-Wood Collection (hereafter cited as FPW), 36:20, Dayton Metro Library, Dayton, Ohio; Sarah Forrer to Dewitt Clinton Howard, 15 Mar. 1851, FPW, 4:12; William Wade Hinshaw, Encyclopedia of American Quaker Genealogy (Ann Arbor, MI: Edwards Bros., 1936), 1:271-272. 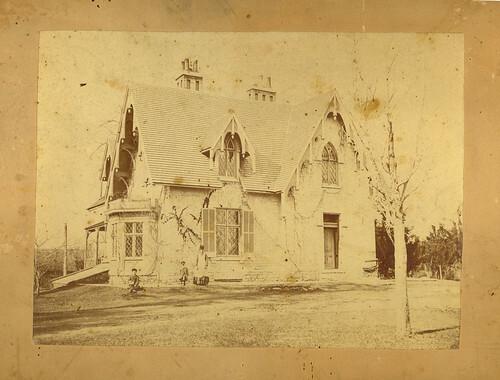 Howard Genealogical Information, FPW, 36:20; Sarah Forrer to Dewitt Clinton Howard, 15 Mar. 1851, FPW, 4:12. Sarah Forrer to Dewitt Clinton Howard, 15 Mar. 1851, FPW, 4:12; 1790 U.S. Federal Census, Ancestry Library Edition. H. E. Smith, “The Quakers, their Migration to the Upper Ohio, their Customs and Discipline,” Ohio Archaeological and Historical Society Quarterly 37 (1928): 39-41. Sarah Forrer to Dewitt Clinton Howard, 15 Mar. 1851, FPW, 4:12. Smith, “The Quakers…,” 41; Hinshaw, Encyclopedia of American Quaker Genealogy, 4:137. Borden Stanton to friends, 25 May 1802, quoted in Smith, “The Quakers…,” 45-46. Smith, “The Quakers…,” 41-42; “Horton Howard,” Quakerpedia, last modified 29 Aug. 2007, accessed 1 Mar. 2012, http://www.quakerpedia.org/index.php?title=Horton_Howard. Horton Howard to his wife Mary (Dew) Howard, [no date] 1799, FPW, 34:9. Borden Stanton to friends, 25 May 1802, quoted in Smith, “The Quakers…,” 46. Smith, “The Quakers…,” 42-43; Hinshaw, Encyclopedia of American Quaker Genealogy, 1:272, 4:40. “Horton Howard,” Quakerpedia; Smith, “The Quakers…,” 42-43; John S. Williams, “Our Cabin, or Life in the Woods,” American Pioneer 2 (1843), accessed 29 Feb. 2012, http://vault.hanover.edu/~smith/w11comphist.htm. Carol Willsey Bell, Ohio Lands: Steubenville Land Office, 1800-1820 (Youngstown, OH: Carol Willsey Bell, 1983), i, v; “Horton Howard,” Quakerpedia. Hinshaw, Encyclopedia of American Quaker Genealogy, 4:, 4:137; “Horton Howard,” Quakerpedia; J. A. Caldwell, Hisory of Belmont and Jefferson Counties, Ohio (Wheeling, WV: Historical Publishing Co., 1880), 186. “Horton Howard,” Quakerpedia; Bell, Ohio Lands, 172; Horton Howard to Thomas Rotch, [several letters dated 1811-1823], Thomas and Charity Rotch Papers, Massillon Public Library, Massillon, Ohio, accessed 29 Dec. 2011, http://www.massillonmemory.org. Hinshaw, Encyclopedia of American Quaker Genealogy, 4:338. Horton Howard to Thomas Rotch, 16 Dec. 1819 and 28 Apr. 1820, Thomas and Charity Rotch Papers, Massillon Public Library, Massillon, Ohio, accessed 1 Mar. 2012, http://www.ohiomemory.org; “Horton Howard,” Quakerpedia. Horton Howard to Thomas Rotch, 28 Apr. 1820, Thomas and Charity Rotch Papers, B-95-10, accessed 1 Mar. 2012, http://www.ohiomemory.org/u?/p15005coll39,1400. Hinshaw, Encyclopedia of American Quaker Genealogy, 4:338, 4:1166. “Horton Howard,” Quakerpedia; “Topographical Map of the State of Ohio” Map (1828), http://www.worldcat.org/oclc/29048990; “Map of Meetings in the Contiguous Parts of Pennsylvania, Virginia, & Ohio” (1813-1828), http://www.worldcat.org/oclc/697639491. Horton also mentions mapmaking in some of his correspondence (FPW). Horton Howard to Sarah Howard, 23 Nov. 1825, FPW, 34:13. Horton Howard to his wife Hannah (Hastings) Howard, 14 Feb. 1828, FPW, 34:10. Horton Howard to his wife Hannah (Hastings) Howard, 14 Feb. 1828 and 11 Aug. 1828, FPW, 34:10. 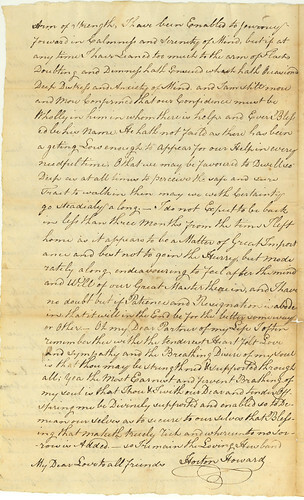 Horton Howard to Thomas Rotch, 30 Oct. 1818, Thomas and Charity Rotch Papers, B-95-7, accessed 1 Mar. 2012, http://www.ohiomemory.org/u?/p15005coll39,1436. Horton Howard, An Improved System of Botanic Medicine; Founded upon Correct Physiological Principles; Embracing a Concise View of Anatomy and Physiology; Together with an Illustration of the New Theory of Medicine (Columbus, OH: Horton Howard, 1832), accessed 1 Mar. 2012, http://www.archive.org/details/improvedsystemof01howa, 1:3-4. Howard, An Improved System of Botanic Medicine, 1:5. Howard, An Improved System of Botanic Medicine, 1:5-6. Howard, An Improved System of Botanic Medicine, 1:6-7; Christopher Hoolihan, “Horton Howard,” An Annotated Catalogue of the Edward C. Atwater Collection of American Popular Medicine and Health Reform (Rochester, NY: University of Rochester Press, 2008), accessed 1 Mar. 2012, http://books.google.com/books?id=nGcDUS7WUqYC, 3:371-372; Alex Berman and Michael A. Flannery, America’s Botanico-Medical Movements: Vox Populi (New York: Pharmaceutical Products Press, 2001), accessed 8 Oct. 2011, http://books.google.com/books?id=gIWWi3HZU8oC, 47-48. Howard Genealogical Information, FPW, 36:20; Ebenezer Thomas to Samuel Forrer, 9-20 Aug. 1833 [four letters], FPW, 1:15; Samuel Forrer to Horton Howard, 12 Aug. 1833 [two letters], FPW, 1:13; William T. Martin, History of Franklin County, Ohio (Columbus : Follett, Forster & Co., 1858), 305-306; Ohio State Journal, 9 Aug. 1833, 17 Aug. 1833, 24 Aug. 1833, 7 Sept. 1833, 2 Nov. 1833; Berman and Flannery, America’s Botanico-Medical Movements, 48. Ebenezer Thomas to Samuel Forrer, 15 Aug. 1833 and 20 Aug. 1833, FPW, 1:15; Howard Genealogical Information, FPW, 36:20; Ohio State Journal, 17 Aug. 1833, 24 Aug. 1833, 2 Nov. 1833; Hinshaw, Encyclopedia of American Quaker Genealogy, 4:1166; Woodland Cemetery & Arboretum Interment Database, accessed 20 Dec. 2011, http://www.woodlandcemetery.org. Horton and Hannah Howard are buried in Section 66, Lot 125. Howard Genealogical Information, FPW, 36:20; Sarah Forrer to Dewitt Clinton Howard, 15 Mar. 1851, FPW, 4:12; Hinshaw, Encyclopedia of American Quaker Genealogy, 1:271-272. Howard Genealogical Information, FPW, 36:20; Sarah Forrer to Dewitt Clinton Howard, 15 Mar. 1851, FPW, 4:12; Hinshaw, Encyclopedia of American Quaker Genealogy, 1:272. Howard Genealogical Information, FPW, 36:20; Sarah Forrer to Dewitt Clinton Howard, 15 Mar. 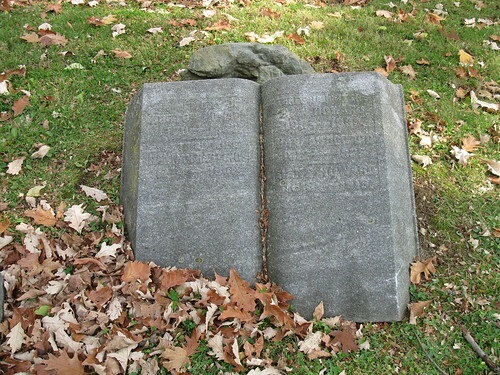 1851, FPW, 4:12; Hinshaw, Encyclopedia of American Quaker Genealogy, 4:224.; Find A Grave, accessed 29 Feb. 2012, http://www.findagrave.com/cgi-bin/fg.cgi?page=gr&GRid=78237126. Howard Genealogical Information, FPW, 36:20; Sarah Forrer to Dewitt Clinton Howard, 15 Mar. 1851, FPW, 4:12; Hinshaw, Encyclopedia of American Quaker Genealogy, 4:150. 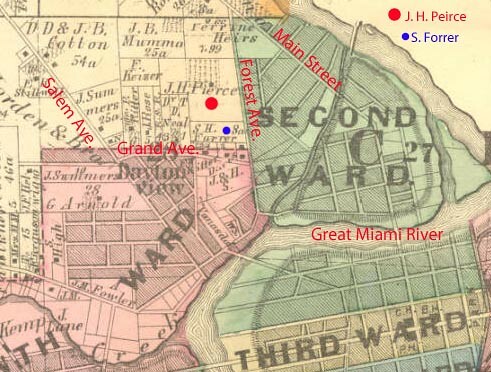 Howard Genealogical Information, FPW, 36:20; Forrer Genealogical Data, FPW, 7:12. See also FPW, Series I: Samuel Forrer Family. Ebenezer Thomas to Samuel Forrer, 9 Aug. 1833, FPW, 1:15; Howard Genealogical Information, FPW, 36:20; Ohio State Journal, 17 Aug 1833, 7 Sep 1833, 2 Nov 1833; Hinshaw, Encyclopedia of American Quaker Genealogy, 4:1166; Woodland Cemetery & Arboretum Interment Database, accessed 26 Oct. 2011, http://www.woodlandcemetery.org. Howard Genealogical Information, FPW, 36:20; Howard, An Improved System of Botanic Medicine, 1:4; Woodland Cemetery & Arboretum Interment Database, accessed 26 Oct. 2011, http://www.woodlandcemetery.org. Howard Genealogical Information, FPW, 36:20; Woodland Cemetery & Arboretum Interment Database, accessed 26 Oct. 2011, http://www.woodlandcemetery.org. When I was a kid, I remember my grandparents and others of their generation talking about the 1937 flood that had affected our town, Portsmouth, Ohio. As a child, I only thought about “the flood” as being in Portsmouth. It did not occur to me that if the Ohio River was flooded at Portsmouth, it was probably high everywhere else (or at least everywhere else downstream), by the very nature of rivers. But when I got older and more interested and did a little research on it — okay, a lot of research (I wrote my 2005 history honors thesis on the 1937 flood) — I quickly learned that it was definitely not a localized incident but an extremely widespread disaster. It affected pretty much every community along the Ohio and Mississippi Rivers from Pittsburgh to New Orleans, breaking previous flood records in many of them. For example, Portsmouth had long bragged that it was “flood-proof” thanks to a floodwall that would protect against a river height of 62 feet — which never quite made sense to me since the 1913 flood at Portsmouth reached over 68 feet. (So why brag about a 62-foot floodwall?) However, on January 27, the Ohio River crested at over 74 feet at Portsmouth, 12 feet higher than the floodwall. Thankfully, since then, a new 77 foot wall has been built, and so far, so good. But back to the 1937 Flood… This year is the 75th anniversary of the 1937 Flood, and I couldn’t just let it pass without saying a word — not when I spent the better part of my senior year of college reading and writing about it. I know that a lot of the affected communities are holding commemorative events this month to remember the flood. Unfortunately, I will be missing them, since I no longer live along the Ohio River, but if you have a chance, check them out some of the 1937 Flood commemorative events in cities like Cincinnati (library event list) and Portsmouth (event list). Portsmouth Public Library’s 1937 Flood photos (over 70 images). 1937 Flood Group on Flickr (35 items as of this writing). I actually created this group, and I encourage you to share any photos of the ’37 flood you might have! Cincinnati in ’37 flood (WLWT News). 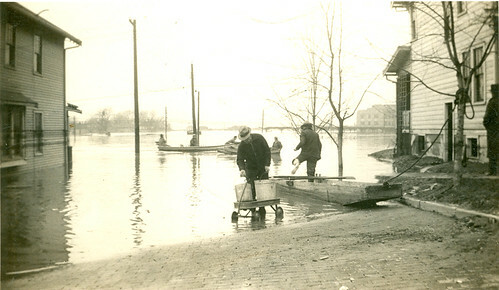 Evansville, IN, in ’37 flood (WFIE News). Louisville, KY, in ’37 flood (National Weather Service). Lowell Thomas, Hungry Waters (Philadelphia: J. C. Winston Co., 1937). I used this heavily in reading up on the “greater context” of the flood for my research paper. There are lots of library copies (including at Dayton Metro), and for that matter I think I personally own at least two copies of it. American Red Cross, The Ohio-Mississippi valley flood disaster of 1937 : Report of Relief Operations of the American Red Cross (Washington, DC, 1938). Another one I was glad to find at the Dayton Metro Library back in ’05! Lots of interesting statistics. Portsmouth Public Library’s 1937 flood page. Ohio Historical Society’s 1937 flood page (includes a brief video). David Welky, The thousand-year flood : the Ohio-Mississippi disaster of 1937 (Chicago: University of Chicago Press, 2011). This is also on my “list” — hooray for a university-press history of this event! Hey, I just realized that we have this book at the library where I work…going to have to request it…okay, just did! One of the librarians at the Portsmouth Public Library gives a nice review of some of these materials in this YouTube video. The PPL also has some oral history interviews with 1937 flood survivors (including Alberta Parker, whose mother Bessie Tomlin died in the ’37 flood), as well as a video about the River Voices video on their YouTube page, so check it out. And finally, since I have mentioned it at least three times — just in case you are interested in reading a copy of my 2005 senior history thesis “The Great Ohio River Flood of 1937”, you should be able to find a copy at : Columbus Metro Library and Shawnee State University’s Clark Library (both have cataloged it so it is listed on WorldCat); Portsmouth Public Library’s Local History Room and Greene County Public Library (not on WorldCat but I remember giving them each a copy).